It’s amazing how much fun you can have with your preschooler in your own home with a little creativity. You can play games and watch movies inside or you can brave the outdoors and have a backyard camping experience. If you decide to enjoy some backyard camping, you may need to make a few modifications to be sure it’s a safe and fun night. 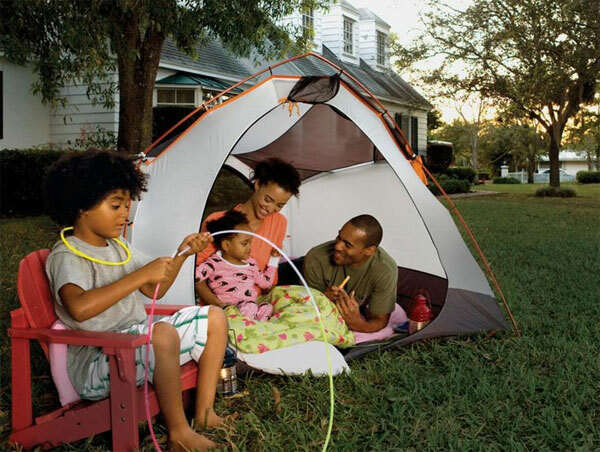 Take a look at these fun ideas to make your backyard camping experience a night to remember. Set up the campsite together. Gather your sleeping bags, flashlights, and other camping gear, and get set up for a night of fun and excitement. Decide on the food for the night. Consider grilling or making sandwiches. Also enjoy other fun snacks that you can keep inside your tent. Plan your activity. You can do a scavenger hunt in the back yard or neighborhood, or have fun looking at the stars to find interesting shapes and forms. If you are using electronics set some rules for usage. Use your electronics for family fun instead of individual fun that can distract from enjoying each other. Consider reading together or playing a board game. Use insect repellent if necessary. Take bathroom breaks when necessary. The benefits of a backyard camping excursion will be found as you enjoy quality time with your children. Beginning with setting up camp together, preparing your food, and enjoying fun and games, your entire night will create lasting memories for you and your children. There are so many additional creative ways to enjoy your child outdoors. For more ideas on how children have great experiences outdoors, contact a Kids ‘R’ Kids Learning Academy near you. Headquartered in the North Atlanta suburb of Duluth, GA, Kids ‘R’ Kids Learning Academies® provide secure, nurturing, and educational environment for children ages 6 weeks – 12 years. We help children to bloom into responsible, considerate, and contributing members of society. With over 160 locations in 15 states, Kids ‘R’ Kids International® is a family owned and operated organization that ranks in the top 10 nationwide for franchised early childhood education centers. Find a location near you (www.dfwkidsrkids.com).